You may know of Erin Chase from the Grocery Budget Makeover that we have done twice as a community or you may know her from $5 Dinners. 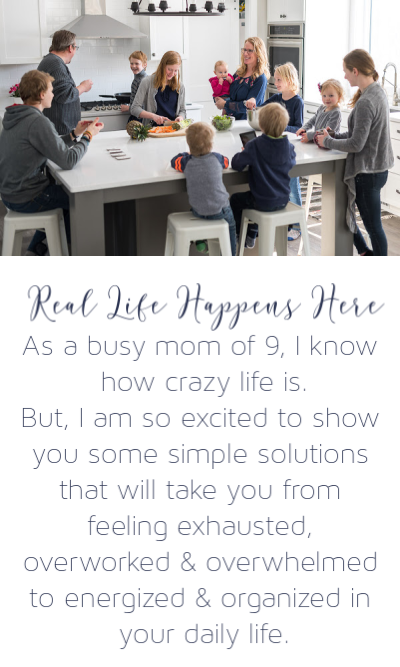 Maybe her name is new to you, but either way, I can tell you that she is a name that you want to know starting right now because of an amazing program that she has to offer, and it’s all about utilizing your freezer while eliminating stress and trips to the drive-thru! 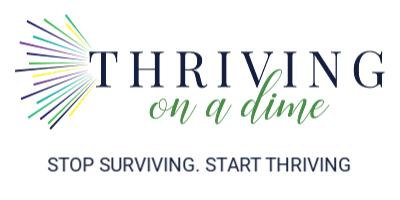 You have heard me talk of both meal planning, multi-tasking in the kitchen, and freezer cooking as time saving and money saving heavyweights, and this program of Erin’s combines all of those things. 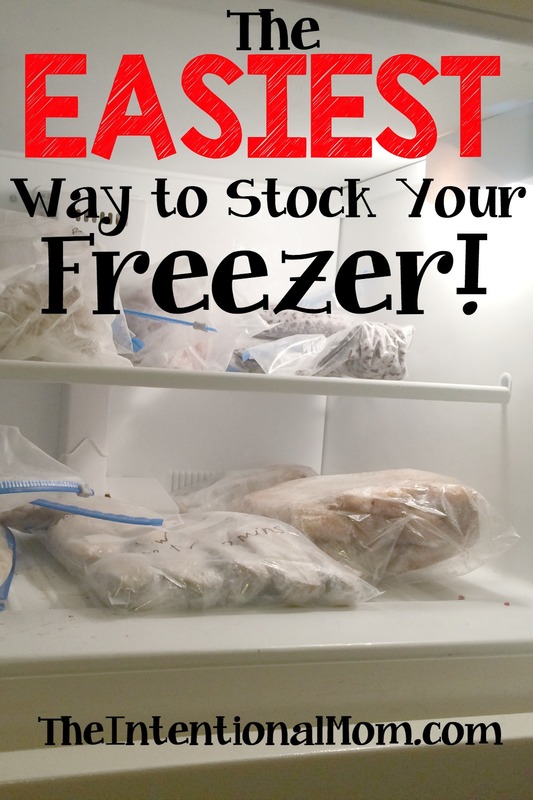 What’s better, is that this is the easiest way to stock your freezer! I have recently started diving into her program called FreezEasy, and I love everything about it. This program is going to help you get healthy meals on the table in minutes, which saves you from heading to the drive-thru, which is something I just talked about the other day. This program equips you to make 10 to 12 meals for your freezer in less than one hour, which is music to my ears because an hour is about the only amount of time I have to devote to freezer cooking all in one shot. However, I can tell you that without this program, there is no way I had ever been able to get 10 to 12 meals taken care of in that time. This program can do that through certain recipes and meals that Erin shares with you. The FreezEasy Freezer Cooking Meal Plans are printable downloads (which is what I love most) that contains recipes, shopping lists, assembly notes, assembly instructions – both loading “by recipe” and “by ingredient” – an assembly video, and printable labels for your bags and trays. Yes, everything is taken care of for you in this program! The downloads are delivered immediately to your inbox after you purchase them, which means you can get started right away! I totally agree with Erin that the greatest feature of these meal plans is the access to secret, private, hidden “assembly videos” where she assembles the meals in her kitchen, teaching you how to do it in yours. And the bonus is that when you watch the videos and cook along with Erin, it’s like you are doing it together, which is way more fun than doing it on your own. In the videos, Erin teaches you the basic strategies for making these recipes work efficiently and effectively for you. She also educates you about the different recipes featured in the plan and how to cook them after they’ve been frozen. And she drops in cooking tricks along the way as well. Are these awesome or what? No matter your dietary or budget needs, Erin’s got a specific meal plan option for you! And, if you’ve never made any Erin’s dishes, you are in for a treat because all of her recipes are fantastic! And, the news gets even better!!! Beginning August 1st, Erin will have a new, yet similar way to stock your freezer in a totally customizable program called MyFreezEasy! But you can join now and be all ready to go! This is a monthly membership meal planning program that will allow you to completely customize your meal plans in only a minute or two. I believe this new app is going to change lives and truly help families by helping them eat better and save money and time in the kitchen, which is what I am all about in my life and in encouraging you to embrace in yours as well. Wondering how to get your freezer stocked right along with me? Either purchase individual meal plans with FreezEasy or click on the join tab to join the MyFreezEasy membership option. A great option will be to get to know a little about Erin, her recipes, and how easy this can all be. Simply register for the FREE workshop and FREE sample meal plan below for an amazing sneak peek! These are two ways that you simply can’t go wrong with when it comes to feeding your family frugally and as efficiently as possible, because after all don’t we all want to spend less time in the kitchen?! « Amazon Deals – Storage, Dishes, Summer Fun + More!